A large mass of bighead clover blooming near the Lawrence Memorial Grasslands several miles southwest of Shaniko, OR...........May 15, 2010. Foothill Clover, Tree Clover: Trifolium ciliolatum - ?? Woolly-head Clover: Trifolium eriocephalum ssp. arcuatum (Synonyms: Trifolium arcuatum, Trifolium eriocephalum var. piperi) - Strawberry, Blue & Wallowa Mts. Cascade Woolly-head Clover: Trifolium eriocephalum ssp. cascadense - E. base of Cascade Mts. 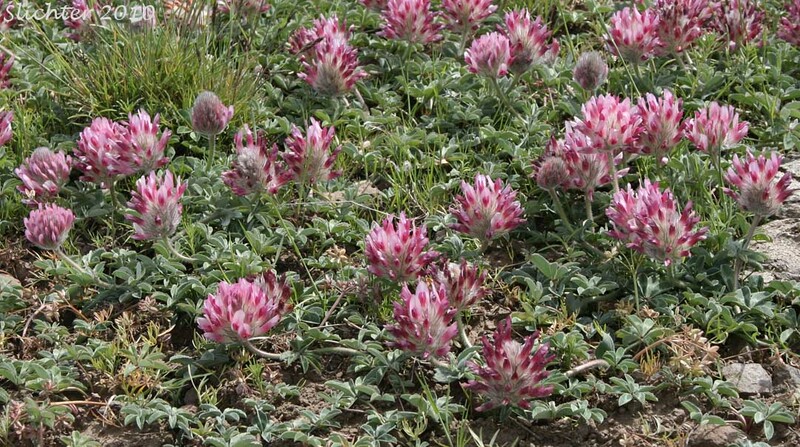 Thimble Clover, Valparaiso Clover: Trifolium microdon - ? ?